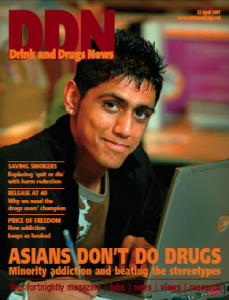 This week the new UK Drug Policy Commission launched – an event covered widely in the media. As newspapers used the opportunity to explore different aspects of the UK’s failing drugs policy, the UKDPC emphasised that it would bring evidence and analysis in front of policymakers. Current drug strategy is underpinned by Public Service Agreement targets that have spawned hits and misses within the drug treatment workforce. For the ticks that are placed against channelling more drug users into treatment, there are as many crosses against letting criminal justice focused policy override public health. There have also been notable successes, such as lower rates of HIV among drug users than in other comparable European countries. The Commission’s job will be to highlight what works – obviously harm reduction measures in this case – as well as what doesn’t. The new charity has already involved a diverse body of expertise – including some that normally comment on policy, rather than help to form it. It will be interesting to see whether informing drug policy will mean influencing it in the near future, to the point of salvaging us from the bottom of the European league table of drug problems. Being informed is equally important at community level, as highlighted in our cover story. Yaser Mir is a natural communicator, but his story illustrates how easy it is to get it wrong when offering drug and alcohol services to diverse cultures and communities. Yaser warns against ‘parachuting in academics and professionals to stir things up’ and his experiences illustrate just how easily this approach could push the problems of young Asians and their families underground. Hearteningly, a diversity policy does not have to be a prohibitively expensive overhaul, which hopefully should inspire managers to make sure the team’s up to speed.